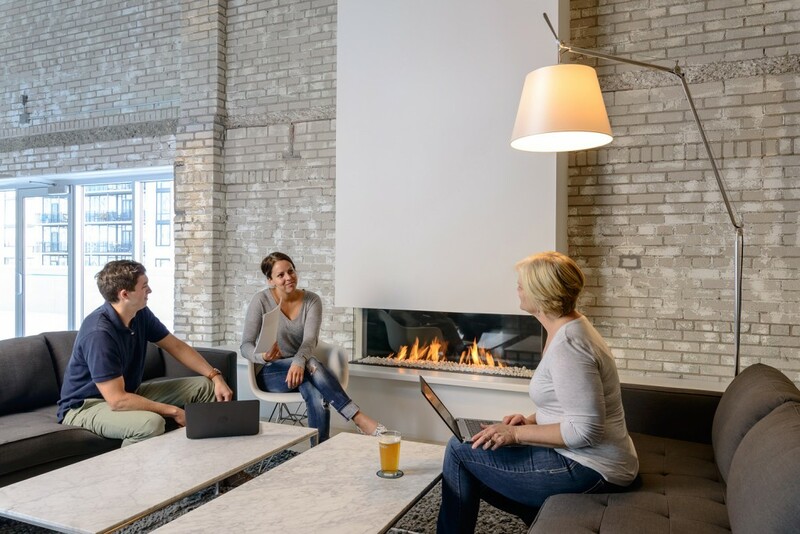 One of the most interesting ways to ignite your business and add a warm and inviting work or reception space is with a fireplace. They aren’t just for homes anymore! A fireplace in your work space will enhance productivity and collaboration among your employees and will help inspire delighted clients. “McCann Advertising is proud of its Scandinavian culture. We designed a new space that would encourage creativity and collaboration and also promoted what the Scandinavians call ‘hygge’: a term that relates to coziness, togetherness and a feeling of well-being." We installed this European Home Gas Fireplace for McCann because there are few things that bring people closer together than a warm fire on a cold winter’s day here in Minnesota. 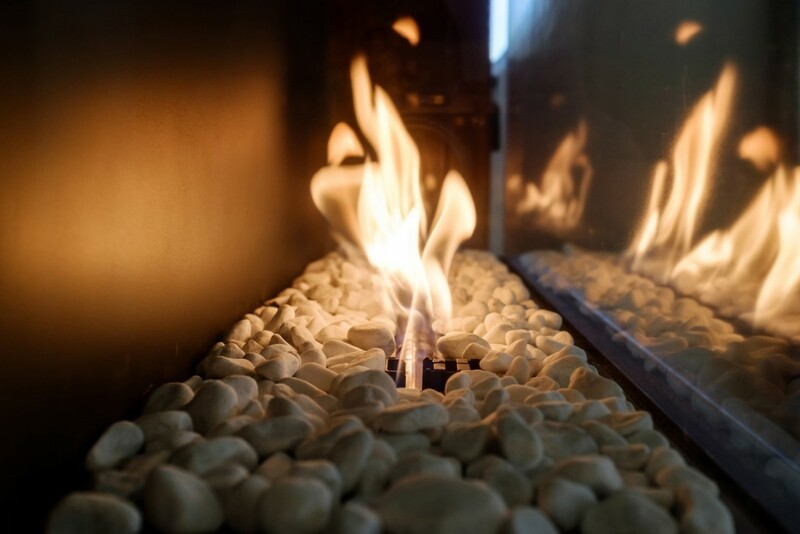 Gas fireplaces are especially convenient on a rooftop Valhalla since these types of fireplaces run on clean and efficient natural gas. Keeping them safely burning requires little more than a yearly service visit. Just flick a switch and, voila! You’ve got warmth and hygge any time you want to take the chill out of the air, settle down to work out the best plan for your next opportunity or welcome a client to your office. When you are ready to build your own Valhalla, visit us in our showroom or have your architect give us a call. Let us help you give the world a little more hygge! 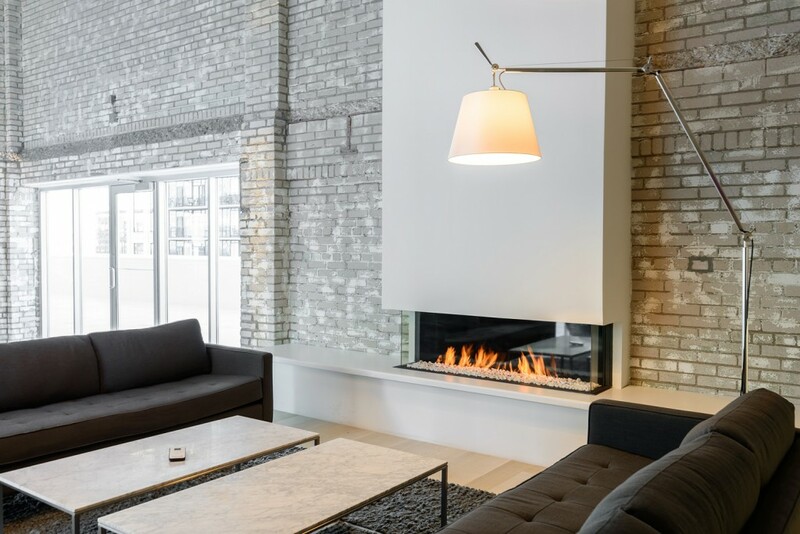 For more information on European Home linear fireplaces, call All Seasons Fireplace at 952-546-6162, visit us at our showroom on South Plymouth Road in Minnetonka or contact us to Schedule a Consultation.